Children diagnosed with Autism Spectrum Disorder have all the same preventative and well care needs as all children. Working with your child’s doctor to make your son or daughter’s medical experience productive is important as your child grows and changes. Often more time is required for appointments. Introducing your child to office staff, and familiarizing your child with the office may be helpful if your child has difficulties with social interaction and/or communication. Autism is a spectrum disorder, meaning it has many forms that affect people in a variety of ways. It has been noted that these following health issues may also be experienced by those with ASD. Some children with autism have an identifiable genetic condition that affects brain development. These genetic disorders include Fragile X syndrome, Angelman syndrome, tuberous sclerosis, chromosome 15 duplication syndrome and other single-gene and chromosomal disorders. Some of these syndromes have characteristic features or family histories. If this is your experience then your doctor may refer your child to a geneticist or neurologist for further testing. Richard Morse, MD, Pediatric Neurologist and Epileptologist at Dartmouth Hitchcock Medical Center in Lebanon NH, and Stephen Mott, MD, Developmental Cognitive Neurologist and Assistant Professor of Neurology & Pediatrics at Dartmouth Hitchcock Medical Center in Lebanon, NH discuss epilepsy and autism spectrum disorders, and aspects to consider regarding co-occurrence. 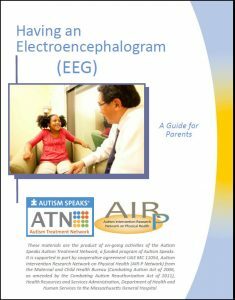 Parents and providers may have concerns or questions about how to help children with ASD successfully complete EEGs, which can be very difficult for individuals with autism. Two tool kits (one for parents and one for providers) are now available through Autism Speaks providing information about the EEG procedure, how a child’s ASD diagnosis might impact his or her experience and how to help children with ASD successfully prepare for and complete an EEG. Many parents report gastrointestinal (GI) problems in their children with autism. Pain caused by GI issues is sometimes recognized because of a change in a child’s behavior, such as an increase in self-soothing behaviors like rocking or outbursts of aggression or self-injury. If your child has similar symptoms, you will want to consult a gastroenterologist. Your child’s physician[TO1] or health insurance company should help you find an appropriate specialist. More information is available at Autism Speaks. Is your child having trouble getting to sleep or sleeping through the night? Sleep problems are common in children and adolescents with autism. Sometimes sleep issues may be caused by medical issues or may need to be managed with behavioral interventions such as limiting the amount of sleep during the day and establishing regular bedtime routines. To rule out medical issues or to address behavioral interventions consult with your child’s physician. More information is available at Autism Speaks. Oftentimes a child diagnosed with ASD may receive an additional diagnosis such as Attention Deficit Hyperactivity Disorder (ADHD). ADHD and anxiety are quite common and addressing these diagnoses properly can help your child make great strides. The classic symptoms of ADHD include chronic problems with inattention, impulsivity and hyperactivity. However, these or similar symptoms can likewise result from autism. For this reason, it is important that evaluation be made by someone with expertise in both disorders. In regards to anxiety, children with autism express anxiety or nervousness in many of the same ways as typically developing children. It is important for your child to be evaluated by a professional who has expertise in both autism and anxiety so he or she can provide the best treatment options for your child. More information is available at Autism Speaks. Clarifies and defines treatment of pervasive developmental disorder or autism, as required under N.H. Rev. Stat. Ann. § 417-E:1, to include professional services and treatment programs, including applied behavioral analysis, prescribed pharmaceuticals (subject to the terms and conditions of the policy), direct or consultative services provided by specified licensed professionals, and services provided by licensed speech, occupation or physical therapists. The policy, contract or certificate may limit coverage for applied behavior analysis to $36,000 per year for children 0 to 12 years of age, and $27,000 from ages 13 to 21. Requires specified insurers that provide benefits for disease or sickness to provide benefits for treatment and diagnosis of certain biologically-based mental illness, including pervasive developmental disorder or autism, under the same terms and conditions and which are no less extensive than coverage provided for any other type of health care for physical illness. ♥ July 2014 the Centers for Medicare and Medicaid Services issued a Clarification of Medicaid Coverage of Services to Children with Autism (ASD CMS Guidance), which made clear that states must provide evidence-based treatments for children with ASD in Medicaid. For more information about healthcare financing please see our NH Medicaid page. The Autism Treatment Network (ATN) is a collaboration of Autism Speaks® and some of the finest children’s hospitals and academic institutions in North America, specializing in multi-disciplinary medical care for children with autism. Together, they work to develop evidence-based protocols and standards of care for many of the most challenging medical conditions surrounding autism today. ATN best practices are shared with physicians and medical facilities nationwide to improve outcomes for all children with autism. The Autism and Medication: Safe and Careful Use tool kit was created to help families work with their healthcare providers to make sure that when medicine is chosen as a form of treatment, it is taken safely and effectively. Blood Draw Tool Kit for Parents - provides a variety of tools to help you and your child to prepare for future medical visits and reduce the stress and worry that may come with blood draws. 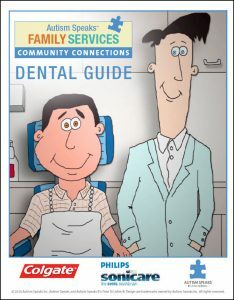 Inside, you will find strategies easing your child’s medical appointments, particularly those involving blood work. The kit’s resources include ready-made visual supports, social stories, relaxation and distraction. Parent's Guide to Toilet Training in Autism -This tool kit provides caregivers tips to increase toileting success by teaching toileting skills, providing advice on preparing schedules and routines and promoting visual supports. 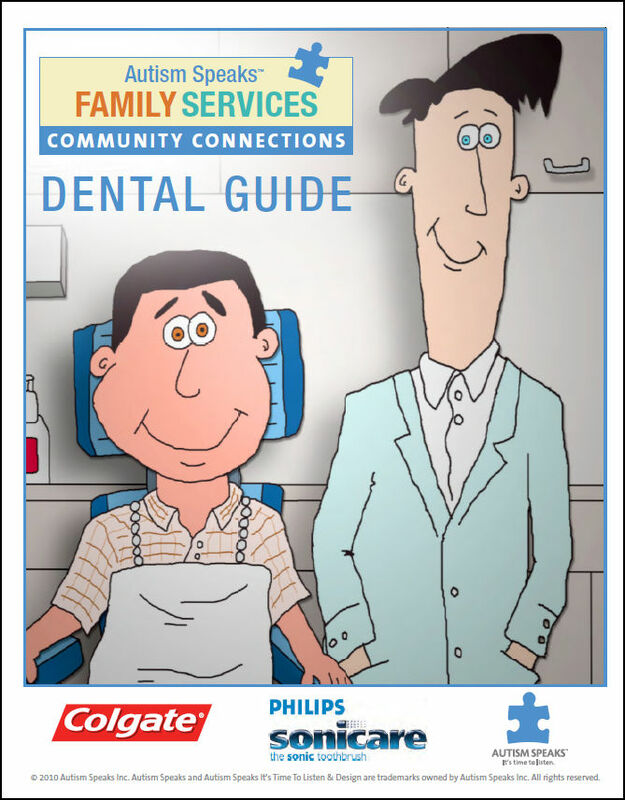 The Guide for Managing Constipation in Children Tool Kit for Parents was created to provide strategies and resources for parents of children with autism who have problems with constipation along with issues that can make treating it difficult. The video Vision Exams for Individuals with Autism and accompanying social narrative lead families and caregivers through a visit to the optometrist’s office and a full, step-by-step vision exam. These tools can also provide insight into preparing ahead of time to make the visit as smooth, anxiety-free and productive as possible. The Department of Defense (DoD) has established the policies that support military families of the Army, Navy, Air Force, and Marine Corps and their reserve components. The DoD has also established the Exceptional Family Member Program (EFMP) for service members and civilian personnel within DoD who have children with special needs, including autism.